I have been a-sanding, following advice and using a block with some different grits. 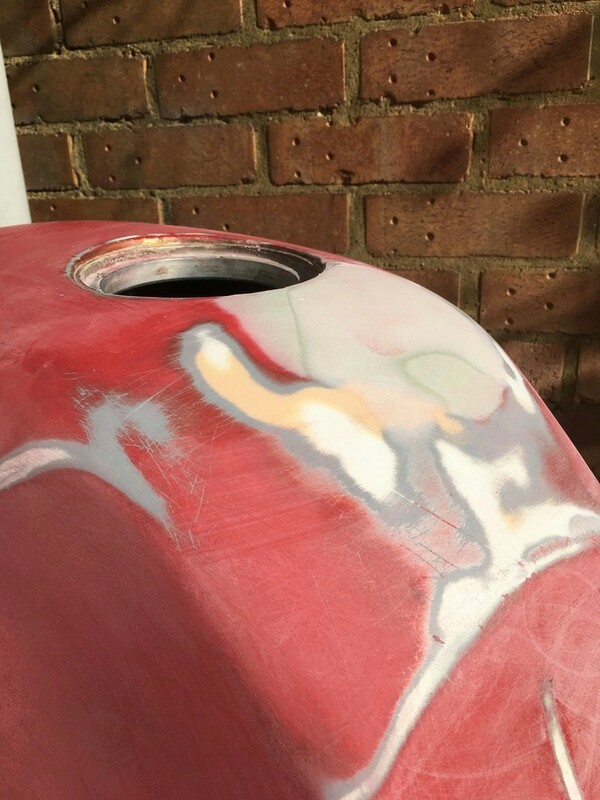 You really want to get the edges of the dent back to bare metal as the first coat of primer-filler will then show up any high spots or hollows. But so far - so good! Just a few tips from someone who has faired a few boat bottoms and built model racing yachts. Sand at 45 degrees to the centerline of the tank, do not go fore and aft or side to side. Slightly less pressure at the middle of the stroke than at the edges. Work from the edges in. All good tips! Thanks guys! » Gold near White Cliff's Peak tank NSW?? 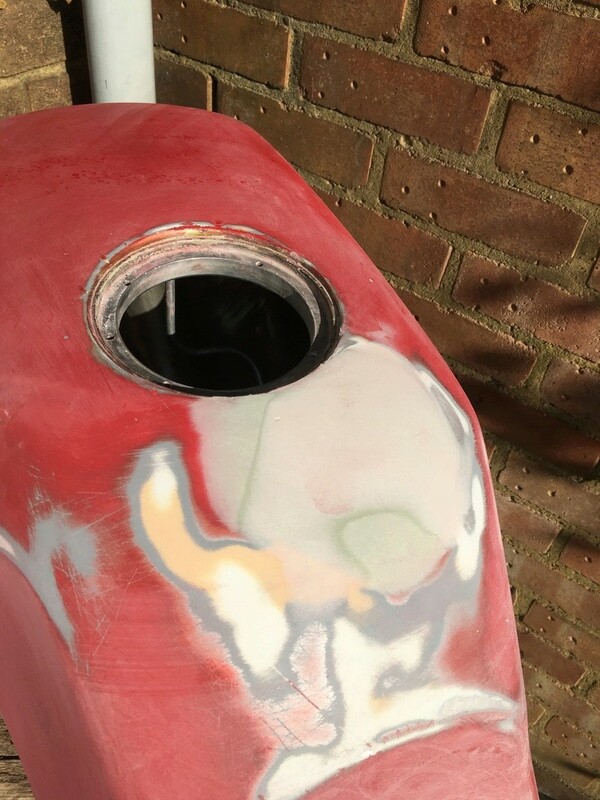 » How do i repair a hole in a fuel tank?